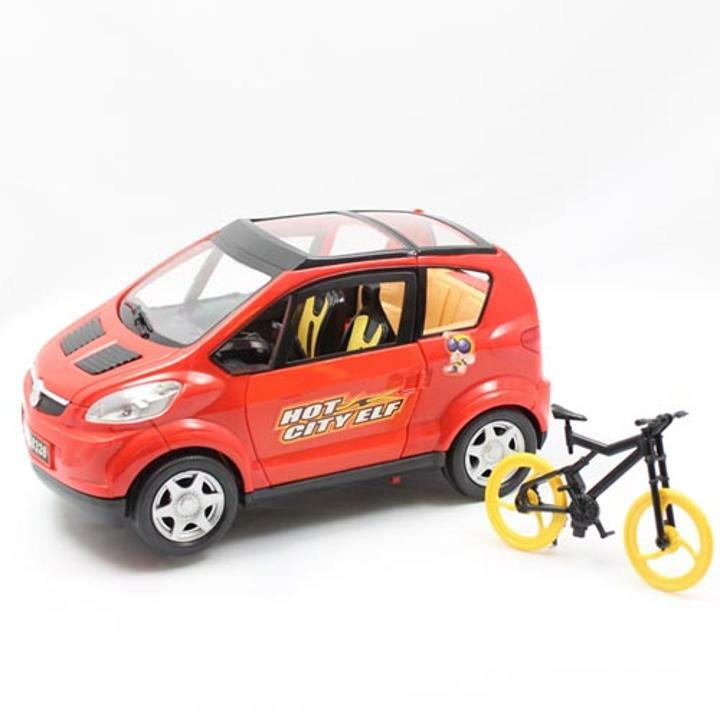 This "smart car" bump & go car with flashing lights and self opening doors will entertain children of all ages. Car drives around playing a jolly tune and comes with plastic bicycle that hatches onto the back of the car. Battery operated, requires 3 "AA" Batteries (not included).